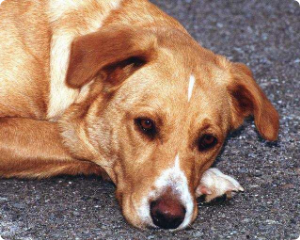 Animal cruelty can range from simple neglect to outright physical violence against an animal. In any case, animal cruelty is always wrong and should be reported to your local authorities. It is important to know that pet owners not only have a moral obligation but a legal obligation to properly care for their animals. If you see or hear of animal cruelty, PLEASE SPEAK UP! You may save a life. Below is Pennsylvania's law on animal cruelty and the contact information for the Pennsylvania SPCA Cruelty Hotline. Note that this hotline receives calls from anyone concerned about an abused or neglected animal or group of animals, including farm animals. The PSPCA has Humane Law Enforcement officers assigned to specific counties to investigate and prosecute cruelty or neglect cases in conjunction with local law enforcement agencies. Callers are encouraged to provide all information requested, especially a specific address where the animal(s) is located for purposes of investigation. Callers can request to be listed as anonymous but must still provide their contact information to the PSPCA for the assigned officer to call for more information as needed.